Education opens doors: the Free Education School in Ahungalla provides free access to education and training. We live in a world that is growing ever closer. Travel has become a cultural asset and a basic necessity. However, we must take responsibility for the fact that within this “one” world, there is still “another” world where social inequalities and inadequate schooling are part of everyday life among socially vulnerable populations. The one world foundation promotes tourism based on mutual understanding and fair exchange. 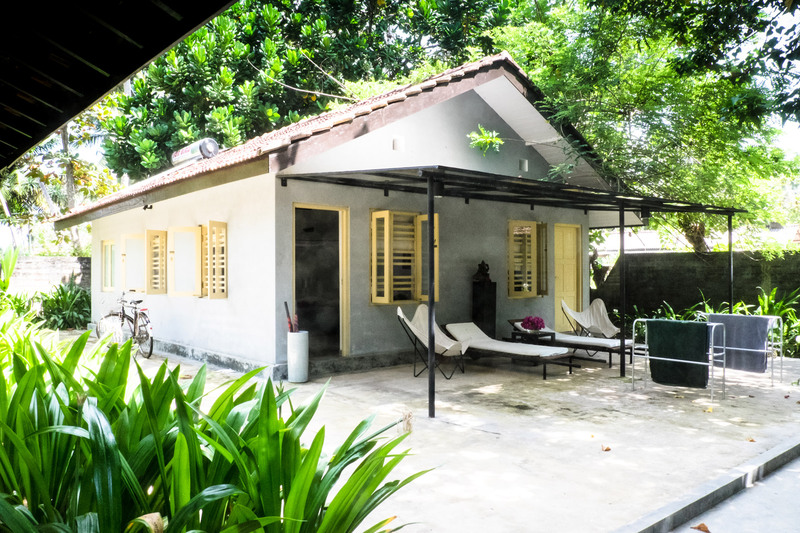 For us, travel plays an educational role in two ways: on the one hand through experiencing culture and nature, and on the other by supporting the Free Education School with your stay at the Ayurveda Guesthouse & Resort Bogenvillya. The income from the Guesthouse finances the school and thus becomes a sustainable investment in the host country. Guests and locals are provided with a meeting place and a space for intercultural exchange; worlds grow together, and a common world – “one world” – emerges. 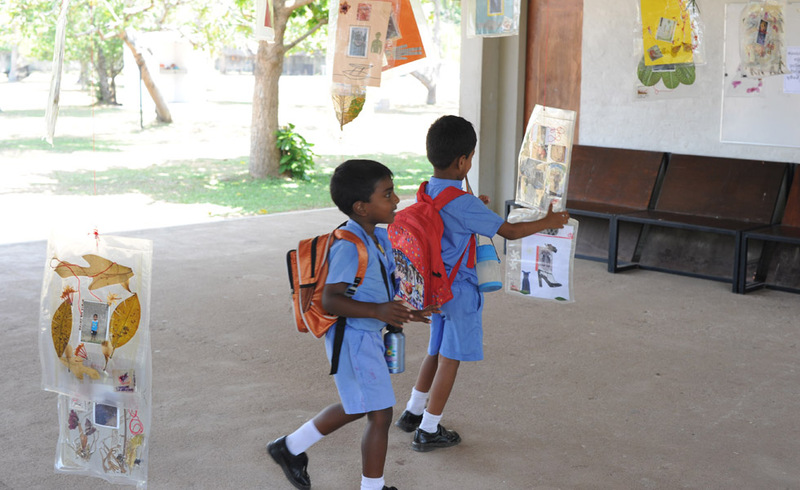 The one world foundation has set itself the goal of providing the Sri Lankan population with uncomplicated access to education. Girls and women in particular should be integrated into the education process in order to improve their position in society. 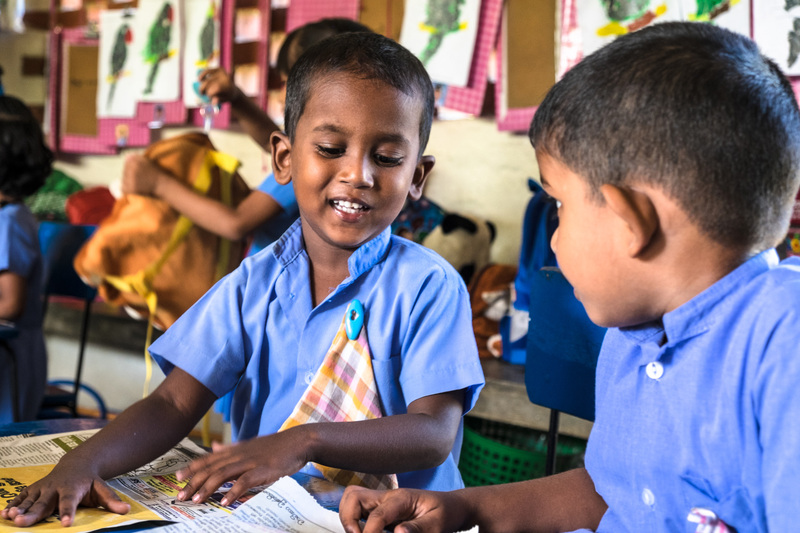 By increasing the country’s educational level, we are supporting the ability of the Sri Lankan population to survive in a world where competition has become globalised. The one world foundation is also a meeting place for children and young people who learn social responsibility through joint learning and games (sports, celebrations, theatrical performances, competitions). The exchange between teachers and parents encourages deeper mutual understanding and the possibility to reflect on problems, conflicts and needs that can be specifically addressed. 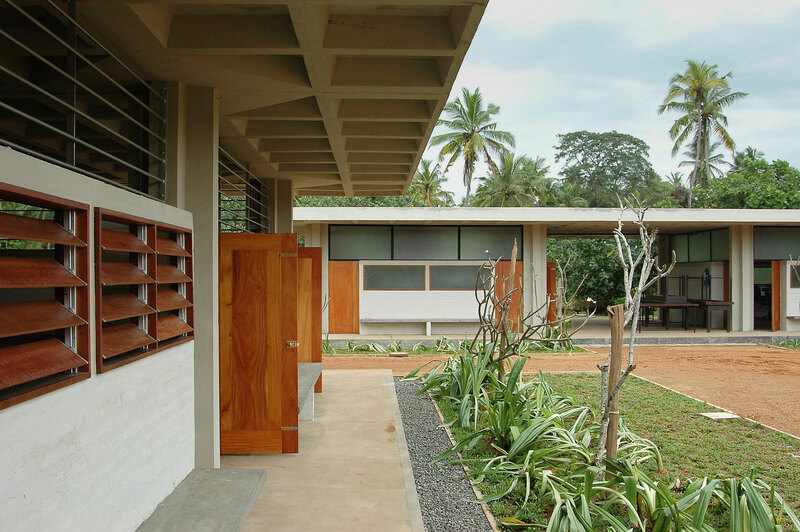 In 1995 the first Free Education School for around 100 pupils was opened by Kathrin Messner and Josef Ortner (who passed away on 30 March 2009) in Wathuregama, directly on the sea. 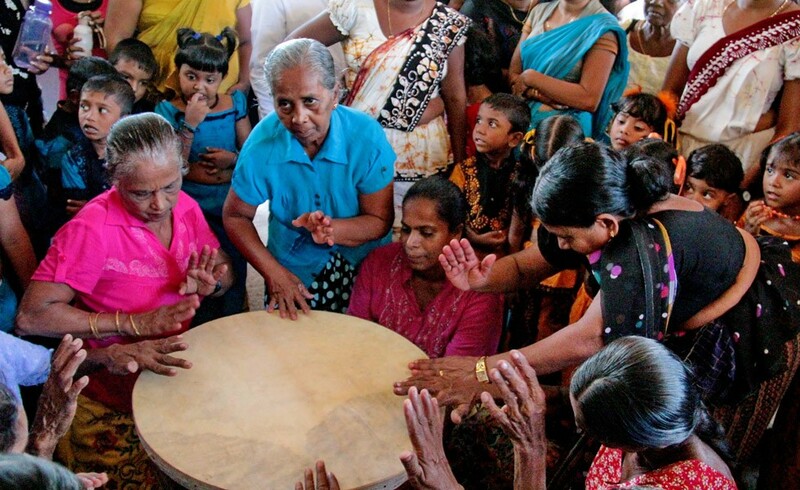 By 2004, the school had grown in size to 700 pupils, but then the tsunami of 26 December 2004 almost completely destroyed the facilities of the one world foundation. With the help of generous donations, charity events, new cooperative ventures, and the significant support of the city of Vienna, the school was rebuilt on extensive grounds one kilometre further inland. 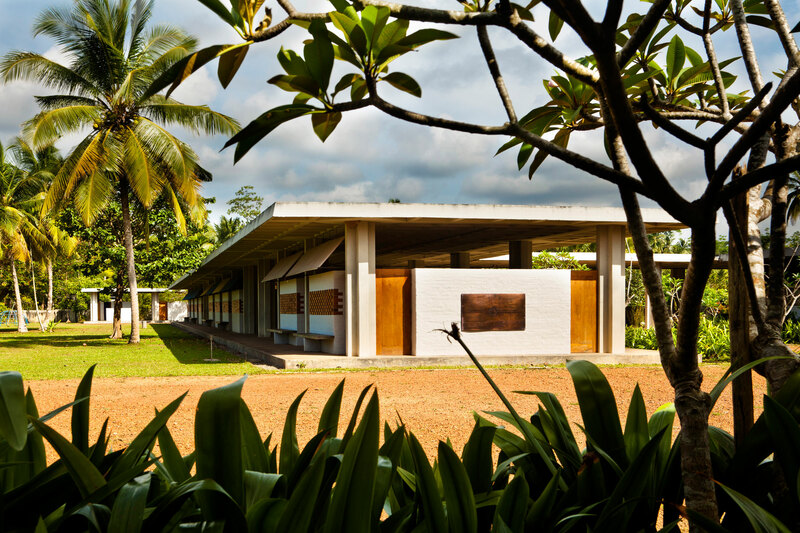 Following architectural plans drawn up by Carl Pruscha, the one world foundation set up a school campus in 2005/2006 in Ahungalla, where a wide range of educational programmes are now being offered. 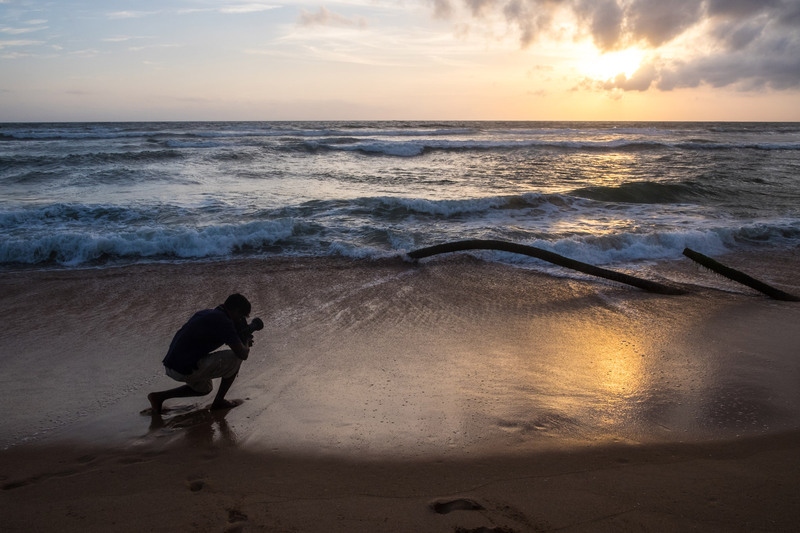 In this workshop, professional photographers work together with young people at the Free Education School to teach them the basic principles of photography in a three-month intensive course. The workshop allows students to develop their own ideas, find creative solutions and carry out projects independently. The workshop also offers the opportunity to these leading photographers to develop themselves through the examination of a culture and its values outside of the European framework they are used to. 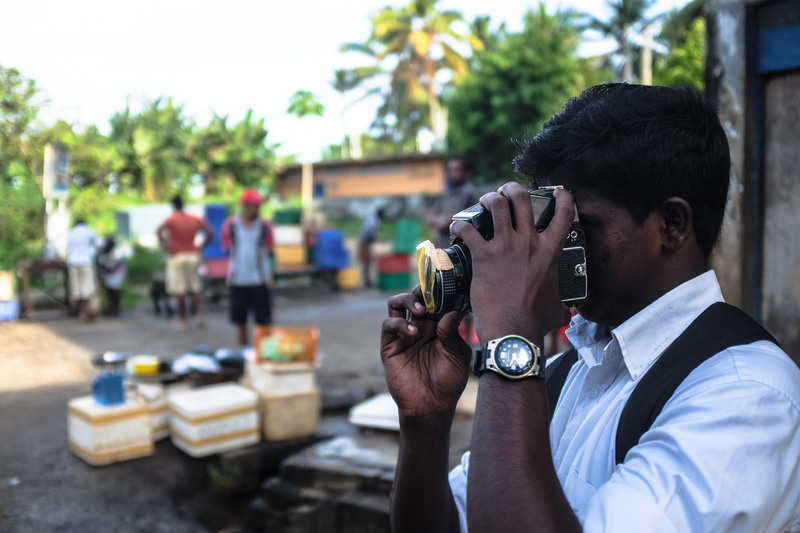 The end of the three-month training in our photography classes is marked by a public exhibition – an opportunety for our students to present their newly acquired skills. Most of the graduates come from the surrounding area, but some also from more distant parts of the Southern Province. Francesca Ferrari was selected by Fondazione Fotografia Modena (Italy) for a residency at one world foundation, where she held a photography course for the students. 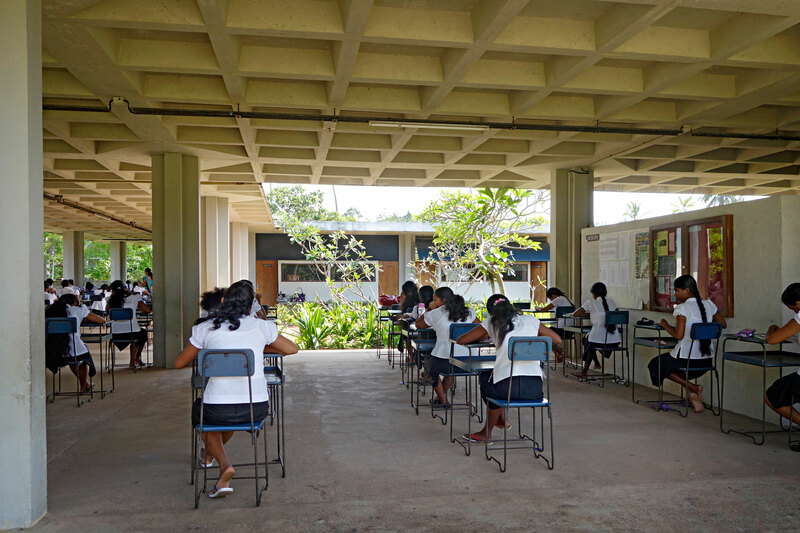 Under the direction of the school’s Principal, Prabath Wijesekara De Zoysa, a total of 37 faculty members are teaching at the main campus in Ahungalla and the pre-school in Katuwila. They are regularly supported by volunteers from abroad. 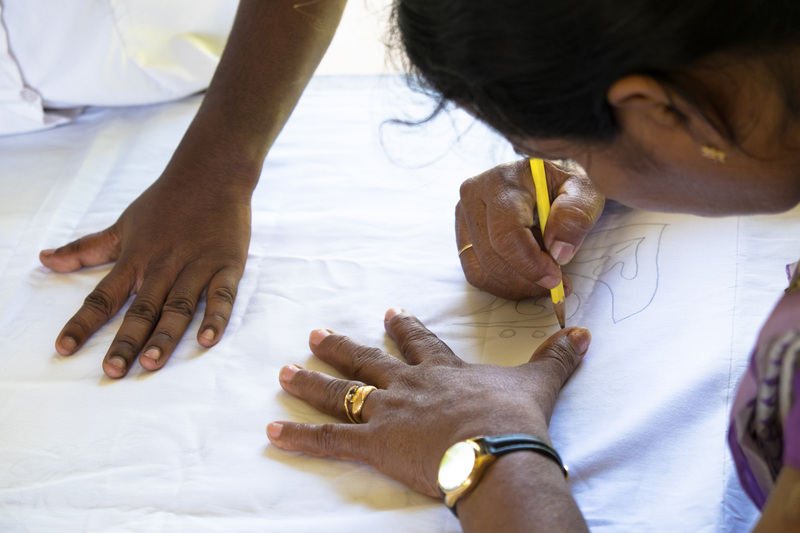 Our foundation works with government agencies in Sri Lanka (NAITA – National Apprentice and Industrial Training Authority and TVEC – Tertiary & Vocational Education Commission) in order to be able to issue internationally recognised certificates to our graduates. Several times per year, pupils, parents and teachers jointly organise school festivals, which promote cooperation and a sense of belongingness transcending ethnic and religious boundaries, forming the festive highlights of the school’s work. The one world foundation’s Free Education Programme is regularly supported by volunteers who teach at the school on a voluntary basis. Important requirements are very good knowledge of English (verbal and written), commitment, independence and reliability. The volunteers should ideally stay in place for a period of at least 3 to 6 months. 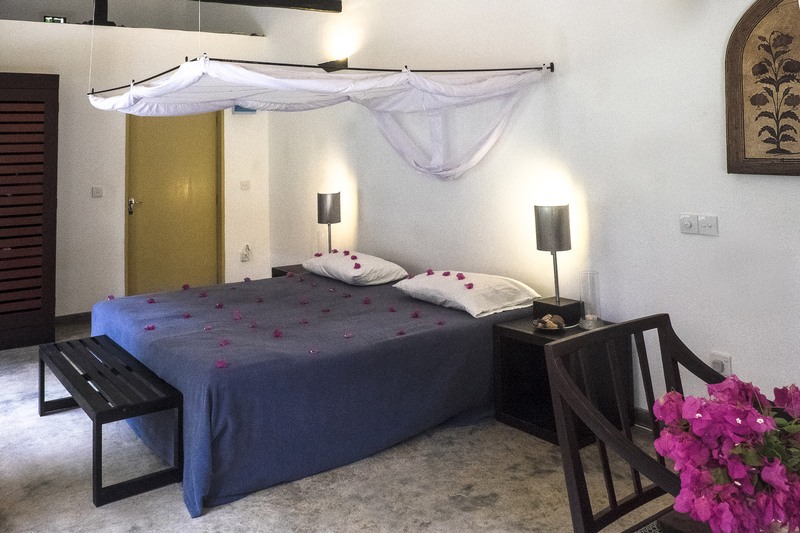 For their room and meals (full board), the volunteers pay € 30 per day (additionally 15% VAT and 2% NBT). 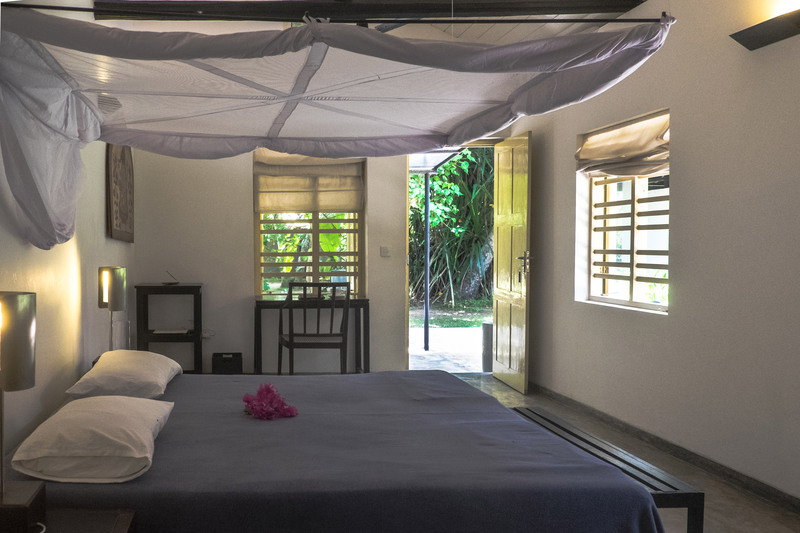 Accommodation is in a beautiful room at the Ayurveda Guesthouse & Resort Bogenvillya (about 10 minutes from the school), which enjoys the same services as all the other guest rooms. Travel expenses and visas are arranged by the volunteers themselves. If you are interested in getting involved in our project, please send a letter of motivation with a CV in English to Kathrin Messner, Director of the one world foundation (office@owf.at). The Free Education School is supported on the one hand by the income from the Ayurveda Guesthouse & Resort Bogenvillya, but it is dependent on additional support. As an individual sponsor or company sponsor, you are helping to assure that we can continue to offer free education in Sri Lanka. Your donations are tax-deductible in Austria, Germany and Switzerland. For more information please contact us at office@owf.at. Thank you for your helpful and gracious support! Continuous contributions help us ensure the smooth operation of the school for a period of one year or longer. Of course, we are also happy to receive one-time contributions, in line with your capabilities. 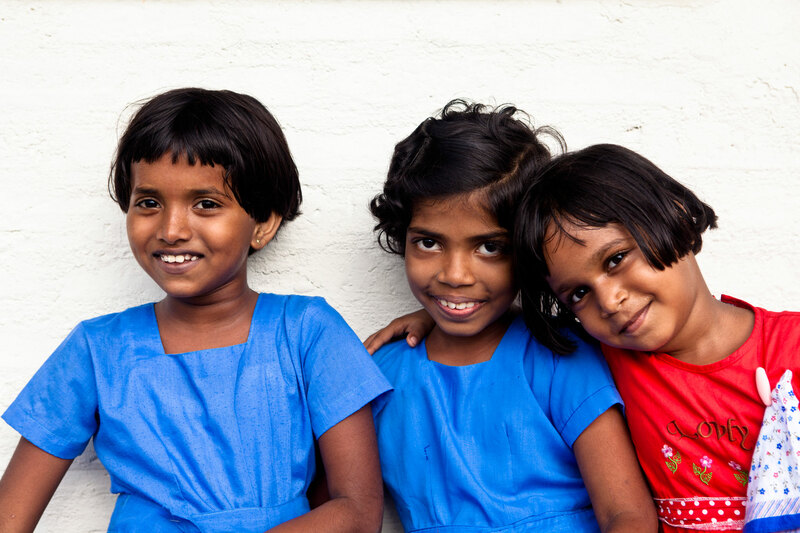 By supporting our school as a sponsor, you are opening up access to education for Sri Lankan children and youth. Your contributions are earmarked to the payment of salaries (all teachers are covered by social and pension insurance), teaching materials, maintenance expenditures for classrooms, and school uniforms*. 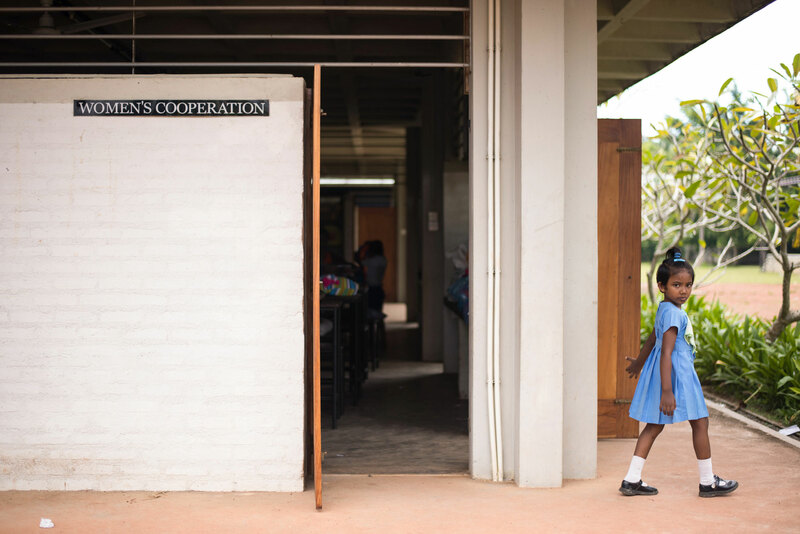 * Uniforms are sewn by the women of the Women’s Cooperation and made available to pupils by the school, since many of them lack appropriate clothes for school, resulting in social differences being exacerbated. Would your company be interested in making a longer-term engagement in the education sector by becoming a sponsor? Regular support for our Free Education School over a longer period of time helps us get a step closer to our goal of education for all. With your contribution, it is possible to promote our foundation directly, or you may choose to support individual projects dedicated to specific objectives. We would be pleased to give company sponsors detailed information about possible areas of commitment. Your donation in Austria will be automatically exempt from tax. To ensure this we will need your first names and surname, date of birth and address. Your donation from Germany or Switzerland is also tax-deductible. We would be glad to provide confirmation that it is a donation to charity. If you wish, we would be happy to name you as a sponsor or supporter on our website. Online donations are only tax-deductible from Austria and Germany! Donations from Switzerland are exempt from tax when you wire your support to our bank account at the Fondation des Fondateurs (see details above). 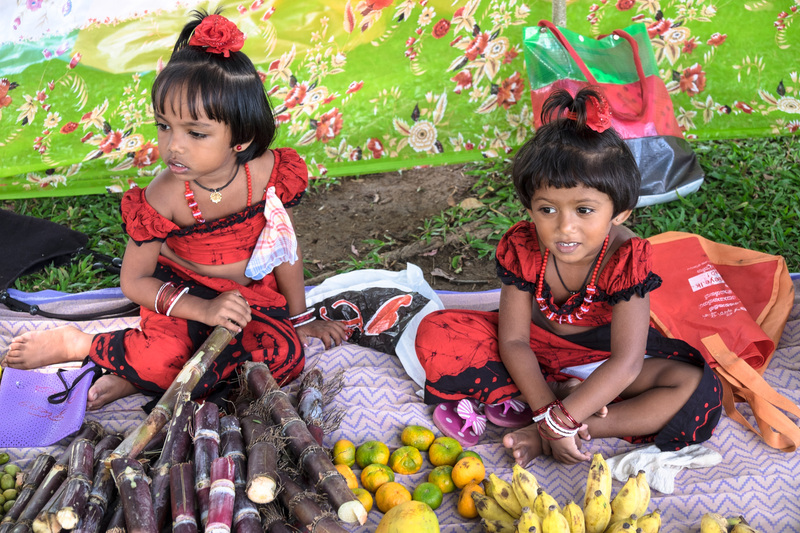 The foundation pro juventute – founded by Margitta, Wolfgang and Dr. Jan Weber – is funding a substantial part of the ongoing operation of pre-school classes in Ahungalla and Katuwila. “Education in general, but especially equal opportunities for all children at the beginning of their education, are the key to personal and social development all over the world. Since 2001, our pro juventute foundation has contributed to this through the promotion of pre-school projects in Sri Lanka.” Further information can be found at www.pro-juventute.org. Ruth Hopfer-Kubsch – Managing Director. 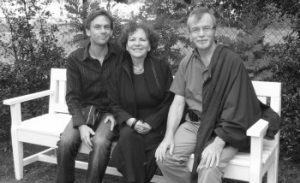 Through its support, the Studiosus Foundation e.V. 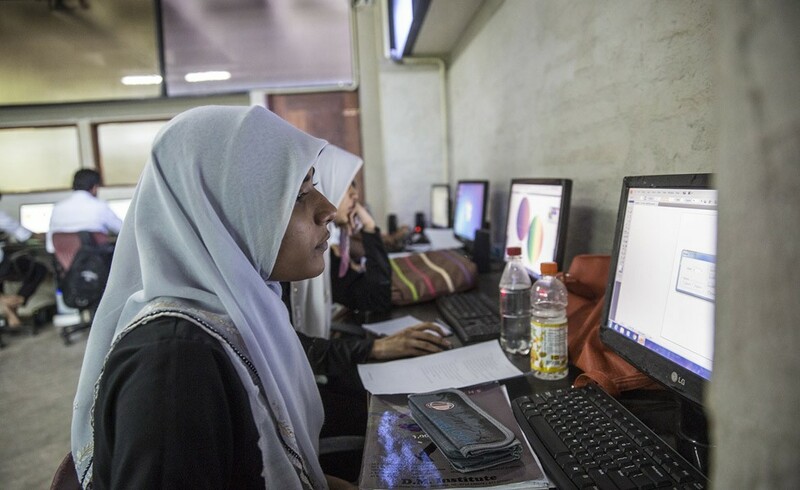 enables us to conduct the computer classes. Further information can be found at www.studiosus-foundation.org.